This place provides a safe haven for the boys and girls and from which the Vocational Centre was developed. In 1999, the Vocational Training was opened providing the opportunity for the disabled and non-disabled persons to learn practical skills for use in the employment market/establishment of business. The students choose trades ranging from metal work and fabrication to tailoring, bead making, Shoemaking, and Computer. 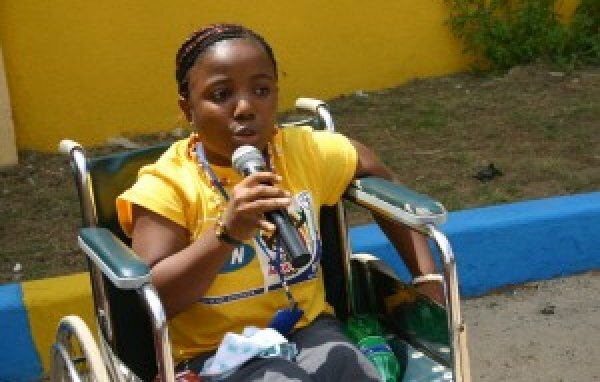 The care and help for the disabled and the disadvantaged persons was an inspiration ever before Chief Mrs. Orduh met the disabled street boys in Lagos. She came in contact with them through buying a tricycle they built. It was a big surprise to her that such young boys were not educated. They have been denied the opportunity to develop the enormous wealth of talents, intelligence and humor she found in them. The Organisation’s belief is that all people are created equal and have the right to dignity, respect, self-reliance, and independence. Friends of The Disabled was established to help the disadvantaged in the society, whether disabled, poor or elderly, through self-help empowerment and development that gives self-esteem. Ojo - Oba Street, Adeniji Adele Road., Lagos Island, Lagos, Nigeria. 73A Lafiaji Street, Dolphin Estate, Ikoyi,, Lagos Island, Lagos, Nigeria. 9a Oko Awo street, Victoria Island., Lagos Island, Lagos, Nigeria. 12 James George Street off Alagbon Close, Ikoyi, Eti-Osa, Lagos, Nigeria. 94B, Island Way, Dolphin Estate, Ikoyi,, Lagos Island, Lagos, Nigeria.